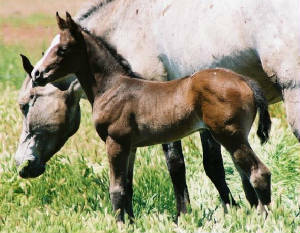 Another great foaling year for us. 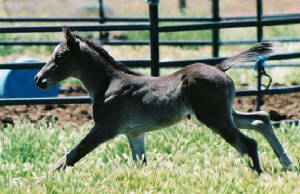 Both 2005 foals are 100% FPD eligible and the colt shuffles! Both are for sale. Please contact us for information, extended pedigrees, more pictures or a video. 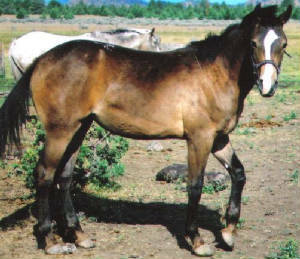 This gorgeous dark bay with white spots on hips, 100% FPD eligible filly is a Sport Horse rider's dream! She may actually be a sooty buckskin like her dam based on her color after shed out this year! 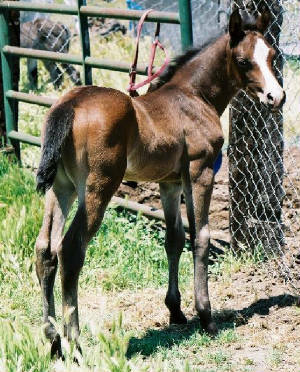 Out of 16.1 hh Mistic Favrit Cheeta and by Mistic Noble Favorit, this lovely lady is a double bred granddaughter of Superior Western Pleasure Champion, Banks Top Favorite! 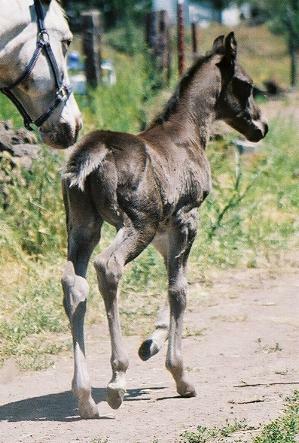 She will be tall and is a beautiful, smooth mover. She is for sale or trade for a 100% FPD eligible filly. Asking $2000.